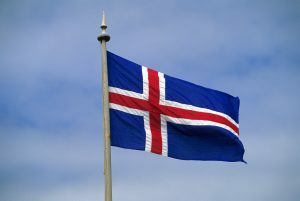 Today, December 1, is very significant day for the Icelandic nation: exactly one century ago, in 1918, this country gained sovereignty from Denmark. The event marked a joyous end to a horrific year for the people of Iceland. It began with an excruciating cold spell that came to be known as frostveturinn mikli, or “the winter of the great frost”. On 21 January, Iceland suffered its lowest temperatures ever recorded, or -36° Celsius [-32.8 F]. The sea around Iceland froze, shutting down shipping routes for more of less all of January. At least five polar bears were found (and killed) on land, having arrived on the sea ice. 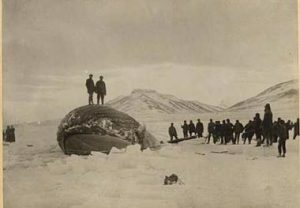 Horses froze to death in meadows, and at least one whale froze near the shore, as it was unable to swim away. Fresh running water became a problem, since all water froze on the farmsteads. At that time heating sources were scarce in Iceland – there was little coal available, and people burned peat for warmth. Then, in October, Mt. 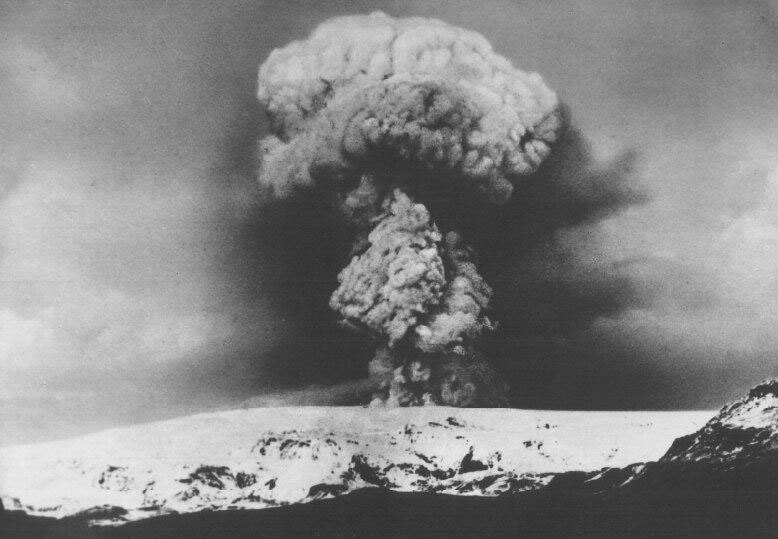 Katla erupted, causing widespread mayhem. Katla is one of Iceland’s largest volcanoes, and is located beneath the Mýrdalsjökull ice cap. An eruption there means a rapid melting of the ice, and so much sediment was carried forward in the glacial flood that the coastline of south Iceland, near Hjörleifshöfði, was extended by three full kilometres [1.8 miles]. Though there was much damage to arable land due to ash fall (around 60,000 km2 were affected, around half of the country), there were no human casualties. Probably this is due to chance: on that day a mass herding of sheep was planned, from the southeast of the country over to Vík, for slaughter. At the last minute it was cancelled since a shipment of salt (used as a preservative) to Vík had been delayed. Had it not been cancelled, it is likely that a great number of people and animals would have perished. Yet much of what Katla spared, the influenza pandemic did not. A week after the eruption began, the Spanish flu came to Iceland via two ships, from Denmark and the United States, respectively. People soon fell ill, and by mid-November, an estimated two-thirds of Reykjavík’s residents were down with the disease. According to official records, 484 Icelanders (out of a total of 91 thousand) died from the Spanish flu. But then, there was this day. On 1 December 1918, Iceland gained full sovereignty from Denmark, though the country would remain under the Danish crown until 1944. Sovereignty meant that Iceland had its own parliament, and was free to govern its own affairs. That day, the Icelandic flag was raised for the first time as the flag of a sovereign country. Since then, Iceland has gone from being the poorest country in Europe, to one of its most prosperous. Independence, it seems, becomes us. Image sources: whale, Katla, Icelandic flag.